Flying Eagle holding an M 4 Rifle with U.S.M.C. 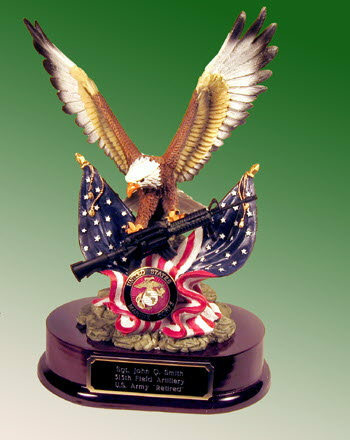 pin [DSK-328] - $129.50 : Metalcraft by Blair - military gifts and memoribilia. This presentation has the U.S.M.C. pin displayed.